When Amazon creates a new settlement file, A2X automatically fetches it, crunches the data and generates a summary of the income and expenses charged or received from Amazon. You can configure A2X to summarize sales by SKU, Product Type, or to group all Sales together. You can also optionally group sales by country. 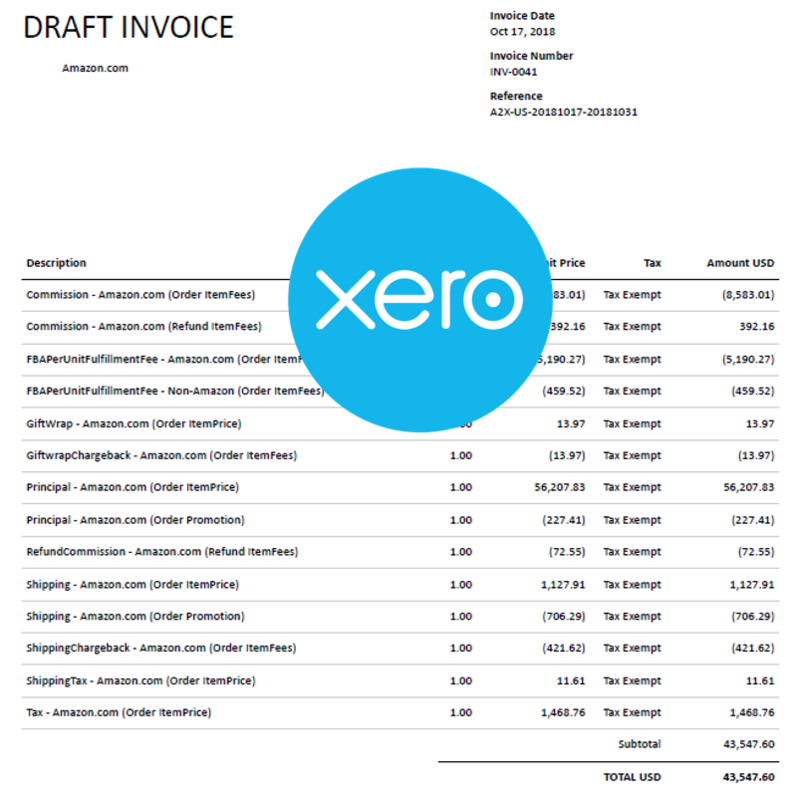 A2X generates invoices from each settlement and posts them to Xero, either manually or automatically. You can select the accounts and tax rates that apply to each type of income or expense either in A2X or Xero. When the payment appears in your bank account within Xero, you can easily reconcile the invoices to their corresponding payments. View our short video showing how A2X imports settlement data from Amazon, creates invoices and then posts the invoices to Xero for reconciliation to the Amazon payments in your bank account.